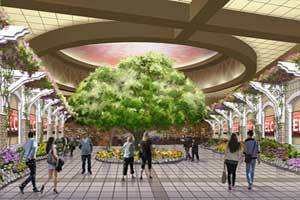 Barona is currently expanding, remodeling and renovating its gaming floor, food court and amenities. The casino gaming floor was recently expanded by 30,000 square feet to accomodate non-smoking players. The new area includes 535 new slot machines, two gaming tables and a new VIP Club Barona booth. The poker room, promenade, and food court have been remodeled. This includes new offerings in a larger food court area, The current buffet patio will be enclosed. A new and notable addition is the Welcome Home entrance featuring the Welcome Home Oak Tree. Barona Steakhouse - Reservations recommended. Open Sun-Thu 5PM to 10PM; Fri-Sat 5PM to 12AM midnight. Italian Cucina - Traditional dishes. Reservations 619-328-3125. Sage Cafe - Casual dining. Open 24 hours daily. The Plaza - Dinner only. Fresh seafood dishes. 400 deluxe guest rooms and luxury suites up to 3,400 sq. ft. Located 30 minutes from downtown San Diego in Barona Valley. March is a "Month-Long Special Promotion Month" at Barona Resort & Casino as the casino celebrates the one-year anniversary of opening its "Welcome Home" expansion area. 30,000 square feet was added for a non-smoking gaming area. It included 535 new slot machines, two gaming tables and a new VIP Club Barona booth and new bathrooms. The poker room was remodeled. The promenade was remodeled. The food court was upgraded and rebranded The Barona Loop. Additional eating venues were added. The Welcome Home Entrance became a centerpiece with itse inspirational Welcome Home Oak Tree. 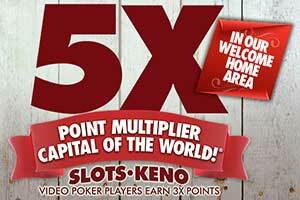 To celebrate the initial opening in 2018 Barona Casino offered a special promotion of 5X Points All Day Long through March 2018. This year to celebrate the one year anniversary of the Welcome Home opening, Barona Casino is offering the same special promotion: 5X Points All-Day All-Month March 1-31, 2019. 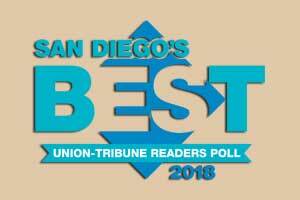 The San Diego Union Tribune recently released their annual "Best Of" winners. Readers of the publication vote for their favorites and decide on the winners. Barona Resort & Casino has won again in the poll. This will mark the eight year in a row for the resort casino as a favorite. The awards are for Best Casino, Loosest Slots, and Best Casino Buffet. A total of eight first places awards were won by the resort casino. Other awards were for Best Place to Work, Golf Course, Best Steakhouse, 24 Hour Restaurant, and Casino Restaurant. 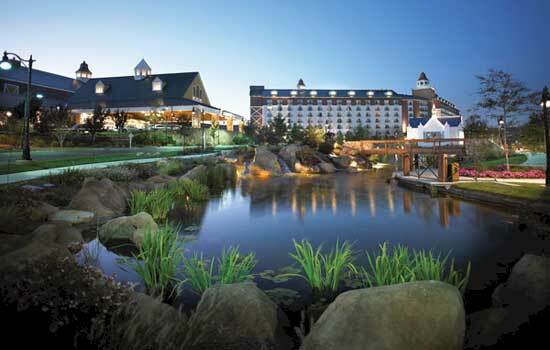 Recently a large expansion and renovation project was finished at Barona Resort & Casino. A new game area was added that offers smoke free gaming. The space for this area is 30,000 square feet. Additional shopping and a larger food court was also added during the expansion project. There are 2,500 slot and video poker machines in operation at the resort casino. There are also 120 game tables. The resort offers 400 guest rooms and suites. Barona Valley views can be seen from the rooms. The resort has a AAA Four Diamond rating. The event center can host a variety of events. There is a spa. The Barona Creek Golf Club offers championship 18 holes of golf. For the last 16 years the golf course has ranked in the top 10 best golf courses by Golfweek Magazine. SAN DIEGO, March 1, 2018 /PRNewswire/ -- Head to Barona Resort & Casino Monday, March 5 through Saturday, March 31 and get 5X Points all day long while playing on any of the hundreds of new slot machines in Barona's recently unveiled "Welcome Home" expansion. As San Diego's Best Casino, Barona recently expanded its casino floor with the addition of 30,000 square feet of non-smoking gaming space featuring 535 new machines, two table game pits, gorgeous new bathrooms, a new VIP Club Barona booth and new offerings in a larger food court area. Prominent in the new space, known as the Welcome Home entrance, is a landmark Welcome Home Oak Tree, a beloved symbol for the Barona Tribe. "We are excited to invite everyone out to experience our new Welcome Home expansion with 5X points in March," said Rick Salinas, general manager of Barona Resort & Casino. 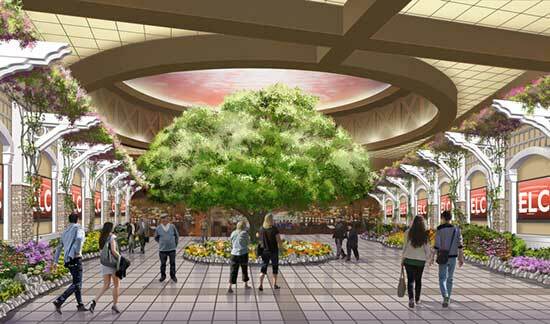 "As soon as players enter the beautiful new space, they'll be wowed by the stately presence of the oak tree which conveys that Barona is a gathering place for friends and family. Our players are family and we want to welcome them home to Barona." Club Barona members will receive 5X Points while playing on any of the slot, video poker and keno machines in the new Welcome Home space. 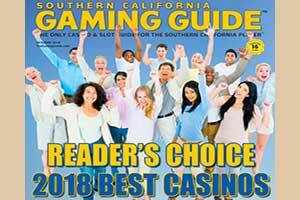 Named Best Casino and "Loosest Slots" for seven consecutive years in the San Diego's Best Union-Tribune Readers Poll, Barona Resort & Casino is the ultimate gaming entertainment destination featuring 2,457 slot and video poker machines and 118 table games. The AAA Four Diamond rated property features 400 spacious guest rooms and suites with beautiful views of Barona Valley, award-winning dining, Spa Barona, a full-service events center and the 18-hole championship Barona Creek Golf Club, ranked in the Golf week Magazine Top 10 for the past 16 years. For Barona Resort & Casino reservations and information, visit www.barona.com, or call toll free 888-7-BARONA (722-7662).